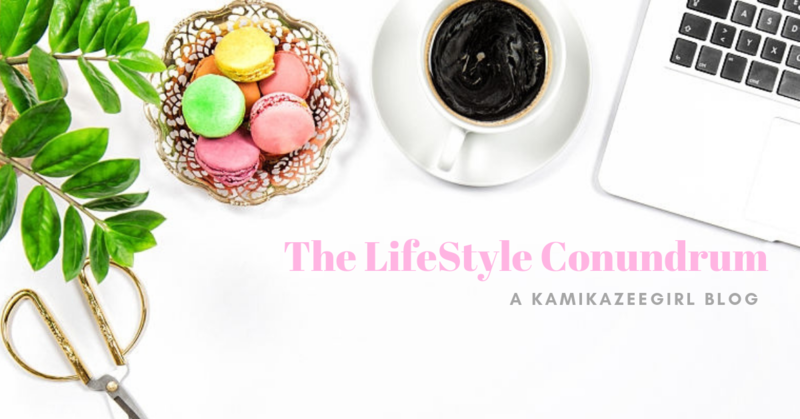 As long time readers of this blog may know, one of my frustrations in life is my constant battle with the bulge. I used to be very skinny when I was in university but that went away when I started working. I tried literally everything to lose weight. I signed up for a fitness program, I shunned rice and Coke but the results have been pretty unreliable for the start. I also tried I will lose a pound or two only to regain twice of that. 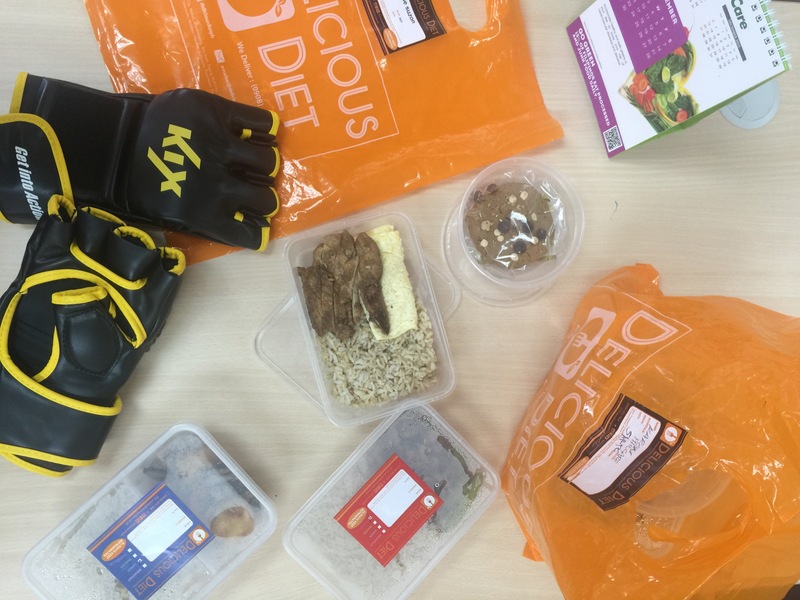 Desperate to regulate what I eat, I signed up for week’s worth of trial of Delicious Diet PH. 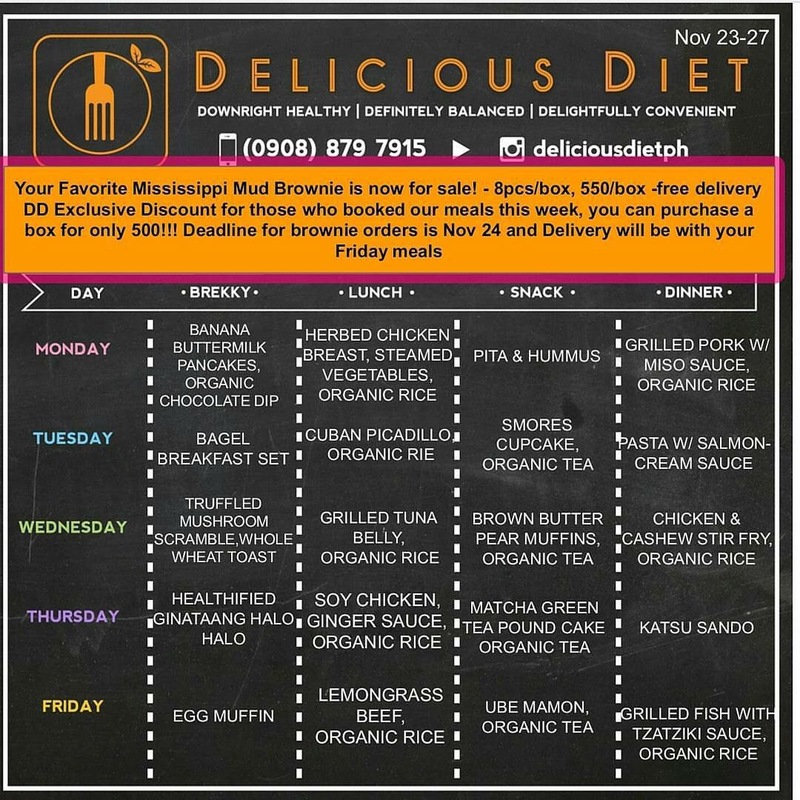 Delicious Diet PH is one of the emerging “nutritious food delivery” companies, an industry that has become ubiquitous lately. 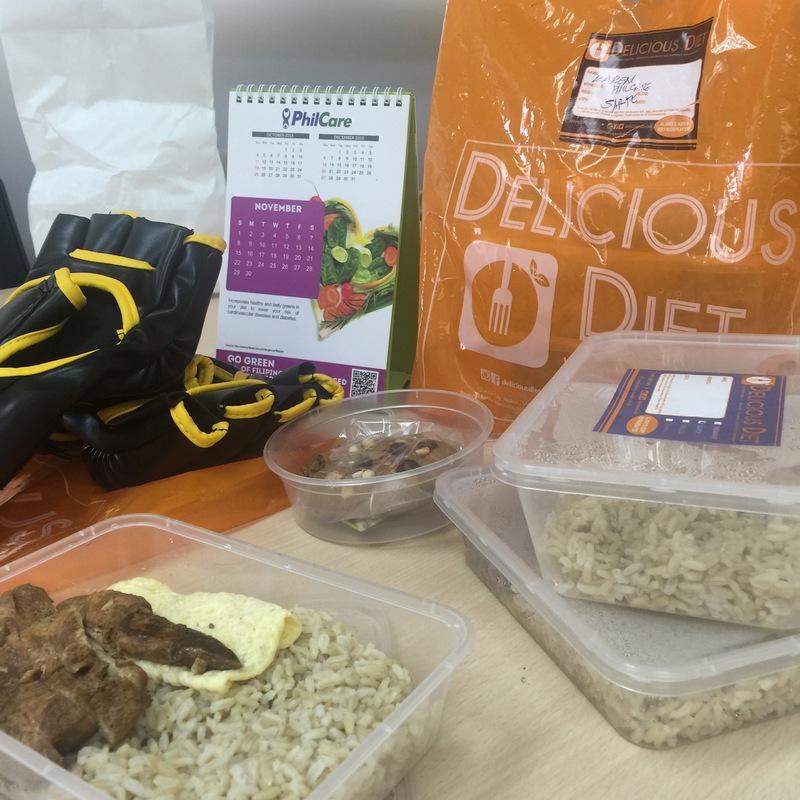 Perfect for busy bodies like me, these food delivery start-ups does not only assures me of the day’s grub, but also assures that I will be noshing on a healthy, delicious well-balanced meal. For example, my sedentary lifestyle dictates that I should b more partial to a 1,200 calorie diet. This is because my minimal physical activities dictates that my body can only burn a small amount of ingested calories. With Delicious Diet, the food is delivered fresh everyday, I think even before 8AM. Each pack is composed of your breakfast, lunch, snack and dinner each contained in a microwave-safe container. Breakfast is usually a choice of bread or a rice meal while lunch and dinner is usually organic rice and viand or pasta. 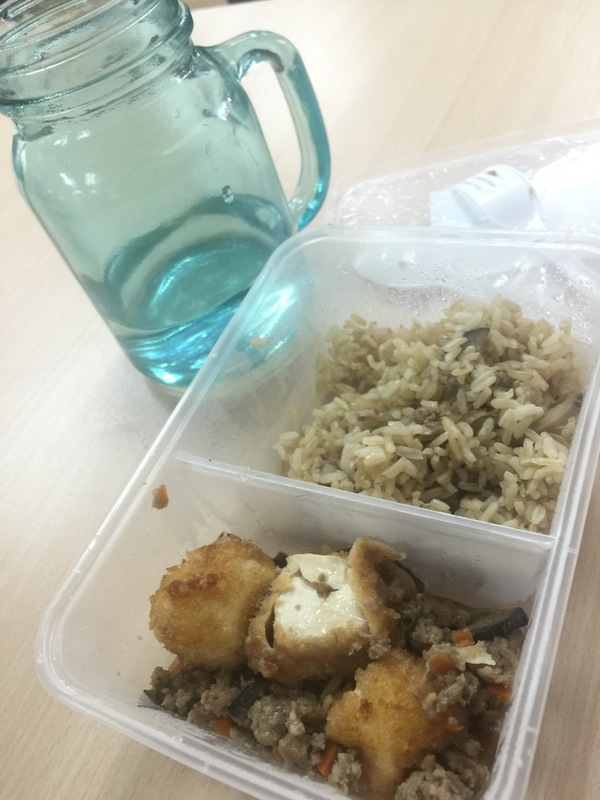 Because of the erratic APEC week, my meals covered two weeks, with a few days picked in between weeks of Nov 16 to 20 and Nov 23 to 27. 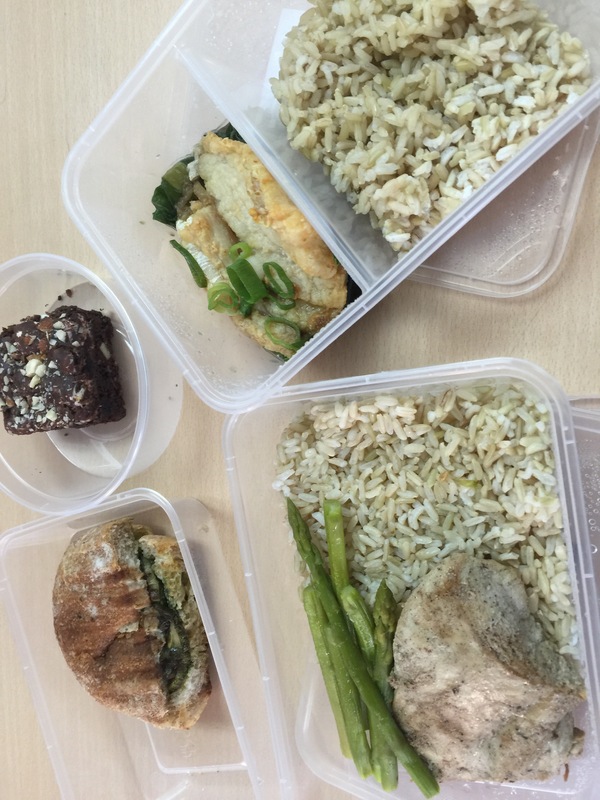 I open to have meals delivered in the office than at home. Chicken tocino and organic rice; tofu steak served with organic rice for lunch (see above), a cookie and lastly, beef and snow peas stir-fry with organic rice for dinner. Food is, indeed, delicious – I love the Tofu Steak and the stir-fries in their menu. However, I find the grilled chicken a bit bland. Their Mississipi brownie is to die for – this was one of the best brownies I tasted and would have loved to buy these separately. The brownies are gooey and tasty. Perfect for afternoon tea. Serving size is just right to fill you up. I wish their meals will have more vegetables – I am a big fan of crisp greens and that’s my usual comment whenever my meals arrive. Will I recommend Delicious Diet? Yes. It’s a good investment for your health. At PHP1,800 per week, it’s a nice thing to have especially if you’re trying to watch what you eat but don’t have enough time to prepare your own meals. Will I order again for the succeeding week? I am interested to order, but I am thinking about trying other calorie-counted meals delivery provider. Not because I don’t like Delicoous Diet but because I am curious to try out others for comparison purposes. Disclosure: this is not a paid post. I paid for my week’s worth of food delivery.